Well the SIHH is well underway and there are some new development in my favourite brand. There are some additions to the Historic collection. The one that I like is that the Radiomir 8 Days is back. 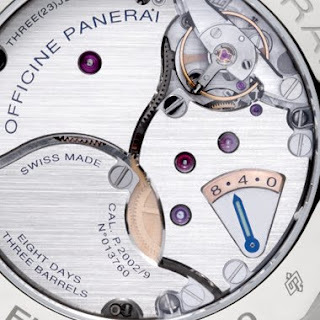 I know there is the PAM00268, but the linear power reserve display on the dial never did it for me. Also I don't really like the power reserve display. So the new PAM00346 addresses this issues for me. The power reserve can only be viewed on the display back. It uses the in-house movement P.2002/9. I like it. Additionally, the case is titanium and the dial brown. The case still measure in at 45 mm. Looks like its time to start saving up. The other watch of interest is the reissue of the Mare Nostrum, PAM00300. The Mare Nostrum is of course the watch that was created as a prototype in 1943. It was intended for deck officers but never went into production. It was produced in 1993 in limited numbers and measured 42 mm. Another batch was produced in 1995 under the Slytech collection, named after Slyvester Stallone. This new Mare Nostrum, a Limited Edition, with a run of 99 pieces (USD36,000) measures 52 mm and is a reissue of the original 1943 prototype Mare Nostrum. 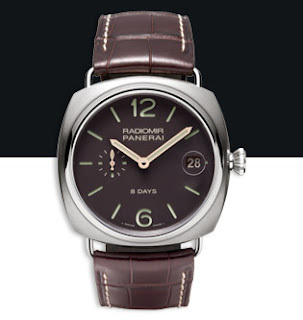 The original can be seen at the Panerai Museum. 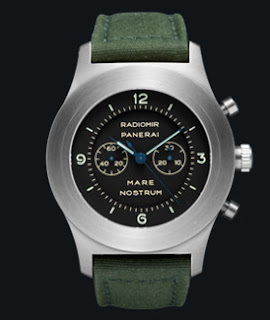 The Mare Nostrum will be powered by a Minerva based Panerai calibre OP XXVIII. 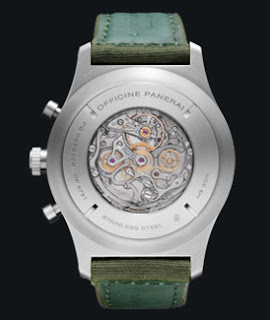 There are other model that caught the eye is the Collectors Edition PAM00349. This is a limited edition watch of only 12 pieces. 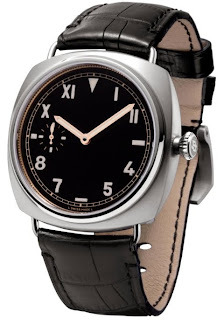 Basically it is the same watch as the very popular PAM00249 with the 1936 California dial. 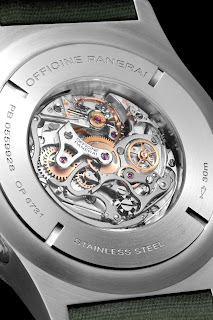 This new watch will have a titanium case and a second hand in a sub-dial at the 9 o'clock position. The blue hour and minute hands have been replaced with gold hands. 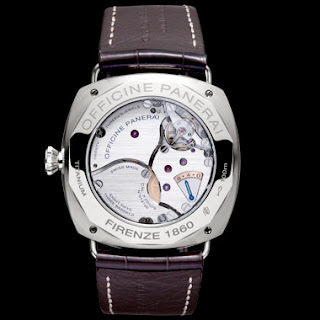 The watch will retail for about USD 27,000.